Klimenta earns his third call-up this season while Caesar earns his second. SACRAMENTO, Calif. – Sacramento Republic FC defender Emrah Klimenta has been called up to the Montenegro National Team, while forward Trevin Caesar has been called up to the Trinidad and Tobago National Team. Both players joined their national teams on Sunday and will remain with them through Oct. 10. Both will also miss Republic FC’s matches against Orange County SC on Oct. 4 and Colorado Springs Switchbacks FC on Oct. 7. Klimenta and Caesar join midfielder Jeremy Hall as Republic FC players to receive international call-ups during their tenure with the club. In addition, current forward Lamin Suma (Sierra Leone) and former Republic FC players Jake Gleeson (New Zealand), Kip Colvey (New Zealand), Justin Braun (USA), Carlton Cole (England), Kaleemullah (Pakistan) and Alvas Powell (Jamaica) have all represented their respective national teams, although not during their time with the club. This is the fourth national team call up for Klimenta. The defender previously joined the Montenegro National Team from May 20 – 29, 2016 for a friendly match against Turkey, from May 24 – Jun. 10 for a World Cup Qualifying Match against Armenia and from Aug. 27 – Sept. 5 for World Cup Qualifying Matches against Kazakhstan and Romania. Klimenta and the Montenegro National Team entered camp on Oct. 1 and will play in World Cup Qualifying Matches against Denmark on Oct. 5 and Poland on Oct. 8. Klimenta will rejoin Republic FC on Oct. 10. Caesar will join Trinidad and Tobago National Team for the first time since joining Republic FC. The forward was previously called up in late August, but due to Hurricane Harvey in Houston, was unable to get a flight to join the team. Caesar will join the national team for their World Cup Qualifying Matches against Mexico on Oct. 6 and the United States on Oct. 10. Caesar will rejoin Republic FC on Oct. 11. For a full schedule and roster please visit SacRepublicFC.com. A Justin Braun brace and Rodrigo Lopez’s tenth goal of the season propels Republic FC past Portland Timbers 2 and into third place in the USL Western Conference. 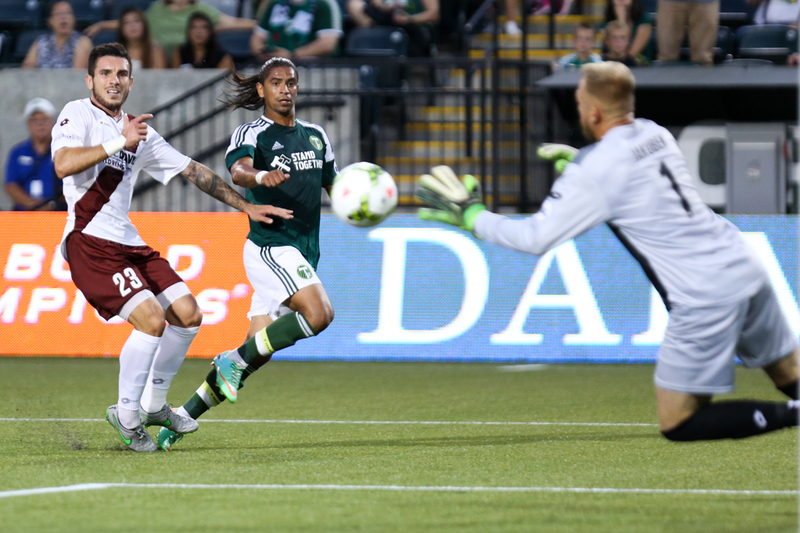 Sacramento Republic FC started strong dominating possession and testing the Portland Timbers 2 backline. Republic FC would strike first in the 13th minute. Forward Thomas Stewart sent a cross from the right side of the field. While Timbers 2 cleared the cross, it only only went to the top of the box where it fell softly to Rodrigo Lopez who sent a laser to the top right side of the goal putting Republic FC ahead 1-0. Republic FC would strike again in the 33rd minute when midfielder Danny Barrera sent a cross into the box. Barrera’s cross found the head of forward Justin Braun, who was positioned well in the middle of the box. 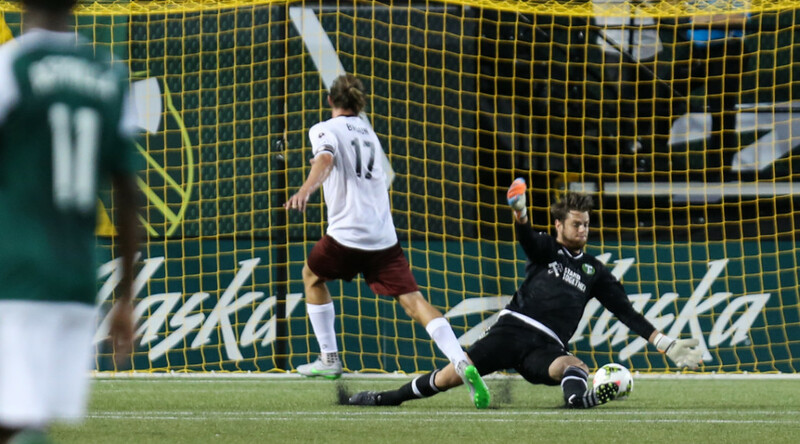 Braun flicked the header over the onrushing T2 keeper Jake Gleeson, putting Republic FC ahead 2-0. Braun would strike again just two minutes later stealing, the ball in the middle of the pitch. Braun showed fancy footwork as he flicked the ball around the T2 defender and then sent the ball under the onrushing Gleeson on the ensuing one-on-one opportunity. The goal was Braun’s second of the match and fourth in the last two matches. 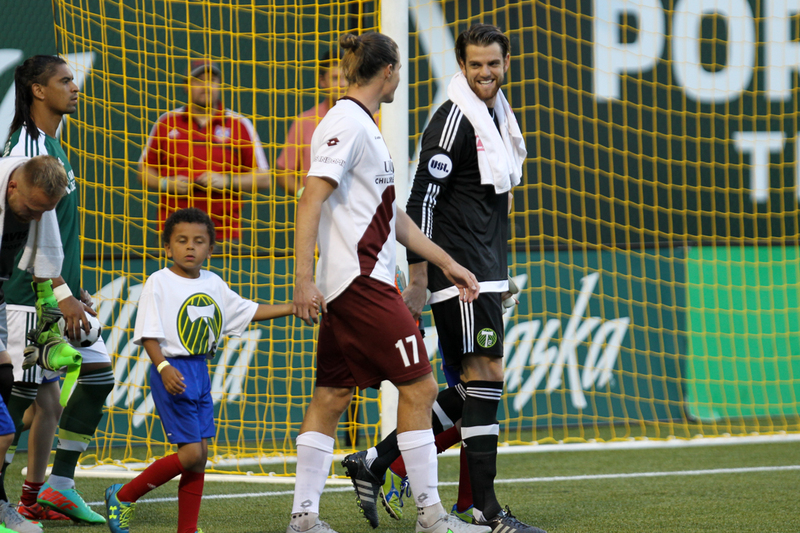 Braun has now scored eight goal this season, doubling his output from last season and putting Republic FC ahead 3-0. The best chance for T2 came in the 43rd minute after Ivan Mirković was cautioned after taking down Fatawu about 25 yards away. Fatawu stepped up and sent the ensuing free kick toward the left corner of the goal. Republic FC goalkeeper Dominik Jakubek was there for the save however, skiing high to knock the ball away from goal, keeping the match 3-0 going into the half. T2 came out stronger in the second half, controlling more of the possession and getting the first strong look on goal in the 51st minute when Kharlton Belmar beat the defense down the right side of the box. Jakubek elected to stay on his line, making a kneeling save to keep Belmar’s shot out of the net and preserve his shutout. Republic FC had their best chance of the half in the 55th minute when Braun beat the offside trap. Braun took a hard touch on the ball but was able to get to it and go one-on-one with Gleeson and sent a shot to the keeper’s right. Gleeson was up the task however keeping the score 3-0. With the win, Republic FC moved into third place in the USL Western Conference and moved into a position to win the conference should they win their remaining two matches of the regular season. Republic FC will travel to Orange County, Calif. to take on Orange County Blues FC on Wednesday, September 16. Kickoff is 7:00 p.m.
Republic FC will play their final home match on Saturday, September 19 against Arizona United SC. The match is sold out, but a limited number of tickets remain for the match through the Greater Sacramento Chapter of the Leukemia and Lymphoma Society. Tickets purchased through the website RelentlessRepublic650.org benefit LLS.